We started shooting in the garden of Petra’s house. There were several good spots, nicely backlit by the Sun. In many cases, I captured just candid shots, however, I guided the group few times, to get the shots which could be framed and given to the grandparents. 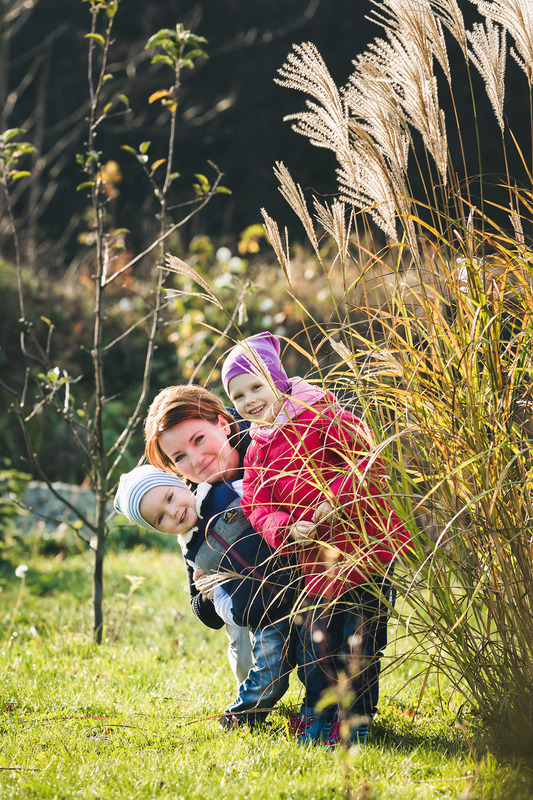 After individual portraits of Terezka and Jarecek, we moved to the nearby woods, a great place for the kids to have fun with dried leaves. And before we finished the session, I took two lovely portraits for Petra with each kid.